This is a Russian made mod that looks very cool. I have just started playing it and am already stuck! If any PP reader who read Russian could help to translate the read me etc. Please contact me and I’ll add a proper description. Are there 2 shotguns in this mod? 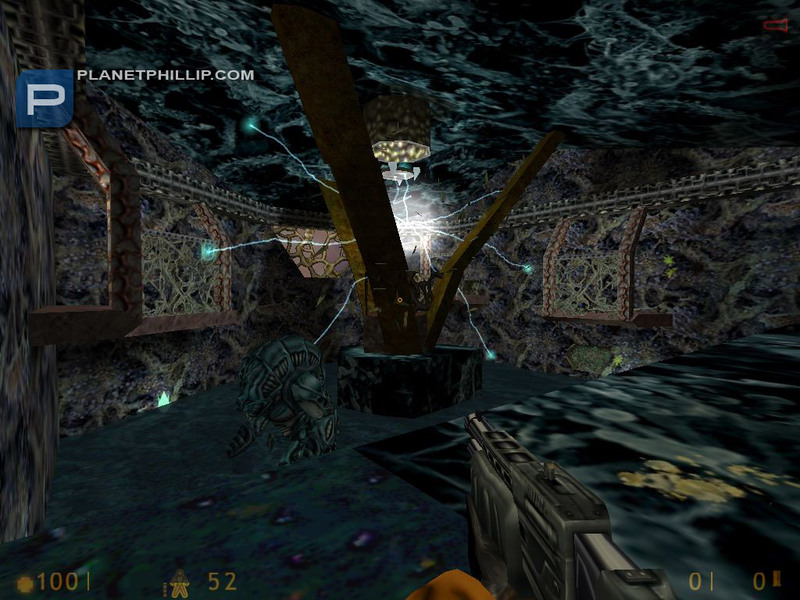 The mapping looks VERY interesting, but it’s too much of Xen. Did anyone install the “bonus” material? I didn’t and I’m stuck right at the begining. I’d recommend going for “I’m Noob” on the first play, it can get quite difficult on certain areas. Anyway, just finished it. I did like it quite a bit, was afraid I wouldn’t. As mentioned the mod can get quite insane with spawning enemies all around you. The platform elements were good too, although I was about to go insane at one certain area due to ALWAYS dropping into toxic water. Most of it contain run & gun gameplay but there’s also a bit of thinking thrown in which works great to slow down it a bit and let you catch your breath. Because the mod was all in Russian (I think?) I didn’t understand one iota what I were doing or what the story was all about. Anyway, give it a try. 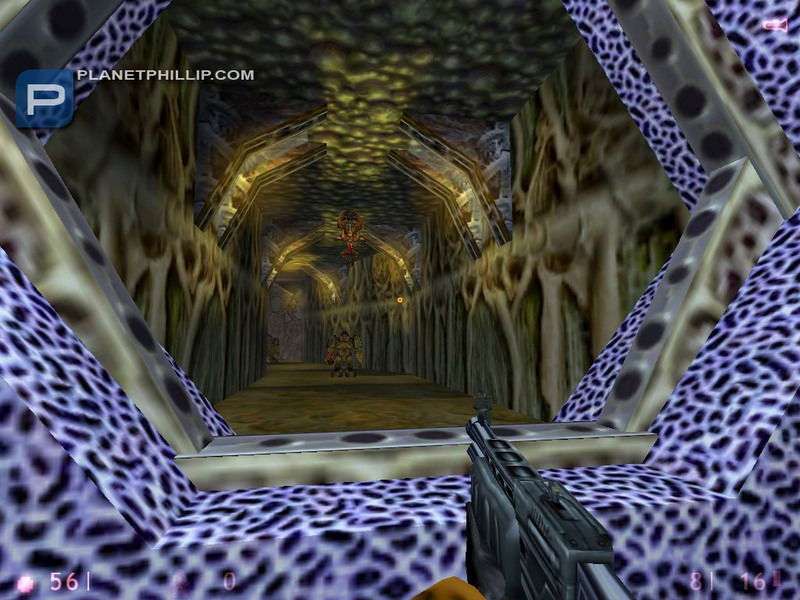 A few will probably dislike it though as 3/4 of it is set in a alien-like environment not that different from Xen. Having trouble with the mod goes to loading screen and stays there does not load game? The new textures look great in the screenshots. 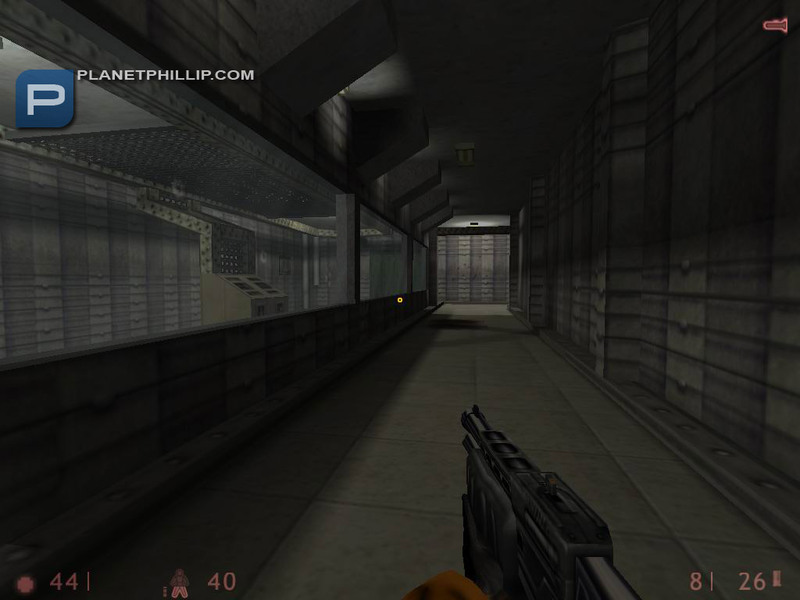 I’m glad modders take it upon themselves to increase the quality of the HL1 engine. 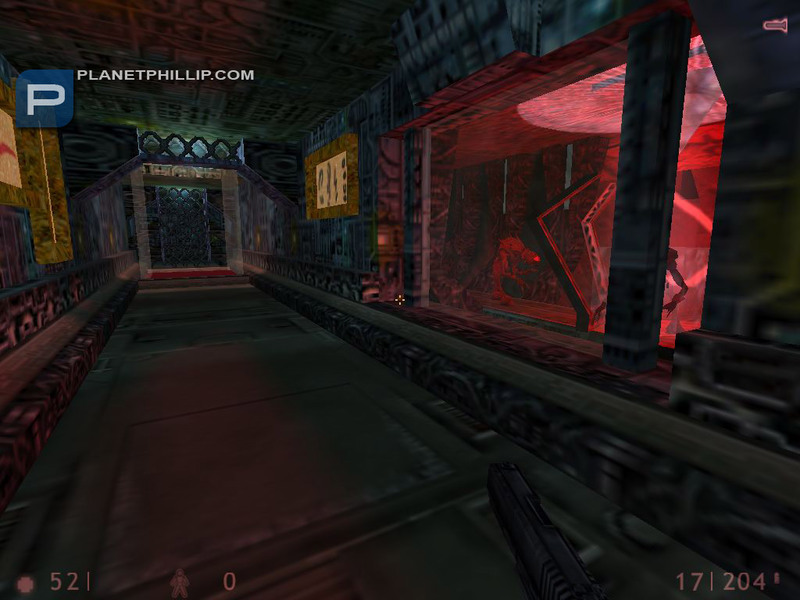 It really looks like a cool mod with some new alien spaceship areas. Does it work with HL1 source? Dude, this game totally crashed on me. 3 times! Maybe it’s my system and I’ll come back when I upgrade it a bit. Hasn’t anyone had the same problem? It’s too bad, the screenshots show a lot of effort and suggest potential. The mod seems to exhibit some very odd behavior at times. 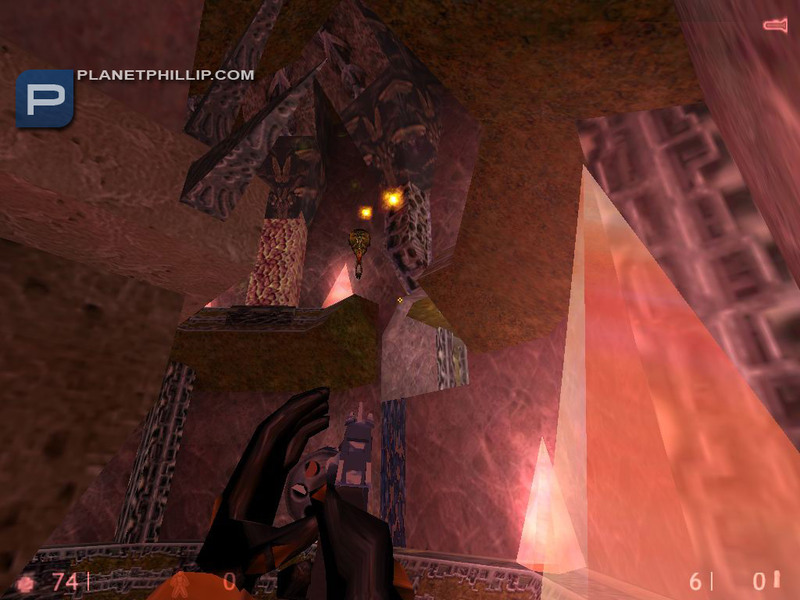 In the room with all the glass plates floating in air, I found that my aim would be very jerky and laggy if I crouched. 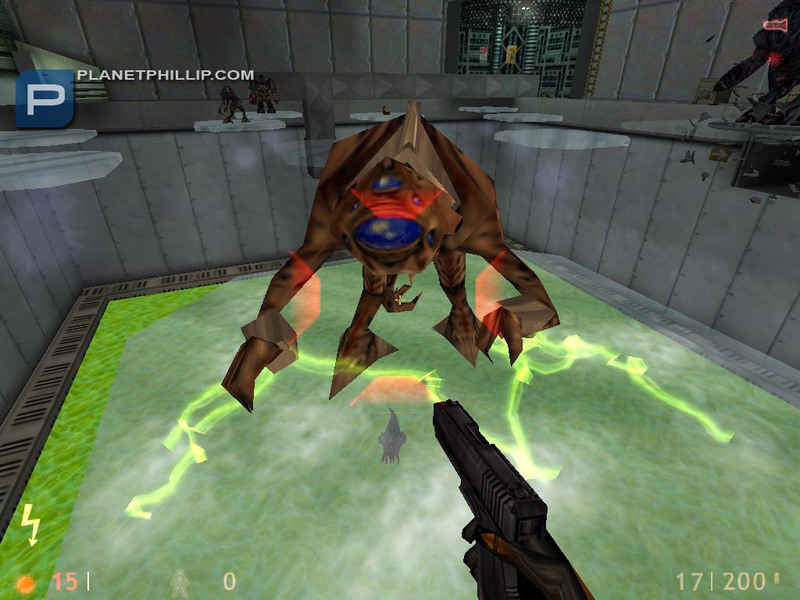 Thus far, this hasn’t happened in any other mod I’ve played, so I can only assume that it’s happening in Half-Life: Prison. Very strange. I am finding this mod difficult, often I seem to work out what is needed but achieving it is proving difficult. For example in the opening sequence you need to blow up the explosive boxes at one end to get goodies including the long-jump device, but how? I was thinking that the big boss did it for you but again how? Let me know if you got pass this opening sequence without cheat. I enjoyed this. it’s big. it’s weird. it’s unpredictable and it’s set entirely on Xen. It has nice bounce-the-energy-balls puzzles. The Xen train tracks near the end are great. It has levels with names like ” The Rhombus” where a totally un-rhombus-like *thing* tares after you (loudly) though cramped tunnels. On the down side most of the new baddies are just tougher reskins of existing baddies (three varieties of Vortigaunt, for example). It goes without saying that if you’re one of those Xen haters you should steer clear. Although slightly unfair in places (like a level where you can walk though walls — but the Vorts can also shoot though them, killing you without warning) everyone who likes something a little bit surreal and different should get this ASAP. Oh — and when I looked though the files afterward I found lots of music tracks that didn’t play for some reason (although I was using old pre-steam HL). But no other bugs for me! I would like to start this game without cheat, so having got the suit then lowered the lever to open the far door, I tracked back to the room at the other end and lowered the lever there, again a door opened. A window in this room shows explosive creates and I know there is a long-jump device among them, this I assume is needed to make the jump exposed at the opposite end. But how do I break the glass explode the boxes to get the long-jump? Are the any weapons close at hand? Or am I climbing up the wrong tree? The closest weapon I know of is through the door at the opposite end of the room. You’ll have to actually jump on the mines to cross the electrified water. Take the first hall to the right. The crowbar is under boxes near the mine. The easiest way to reach it is by detonating the mine. Climb the crates at the opposite end of the room where you are far away enough to avoid getting hurt, and jump in the mine’s laser beam. As for the longjump module, are you sure it’s in those explosive creates? Thanks Gilfrarry, that helped a lot and I am in the swing of things now. Help, I just can’t work out the pool sequence, got across the pool, opened the sliding bars using the valve wheel, hit the switch but can’t seem to progress any further. This area stymied me for a while too. I presume you broke the glass under the garg’s feet. Did you see what hitting the switch accomplished? It opened a gate on the opposite side of the pool. Climb up the side of the newly accessible room to the room above it, and drop down the narrower window to a series of ledges ending at a lever. I am still finding this one hard, got to level 6 with the fire pit, shoot every thing including all the lights but can’t progress. I guess you need to get across the fire pit some how, but how? 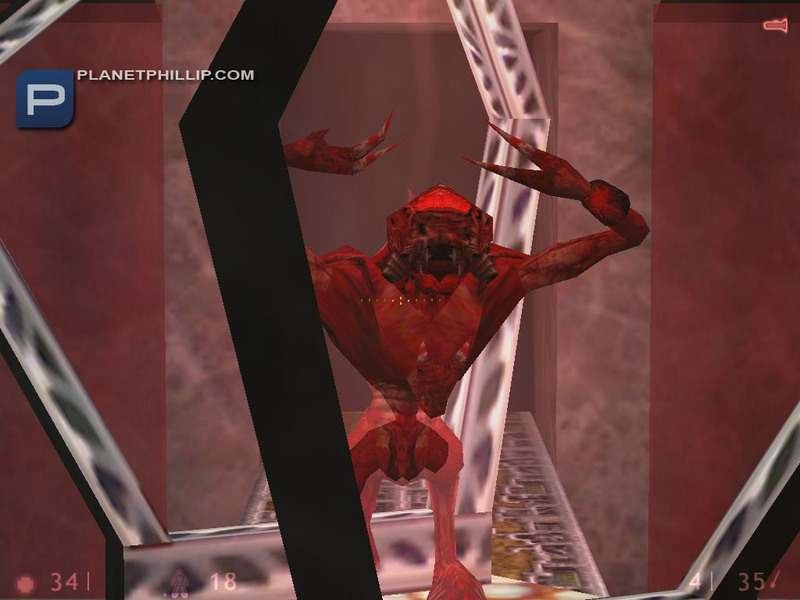 Directly across from where you enter the room is a low cave, right above the fire, with one of those red creatures. 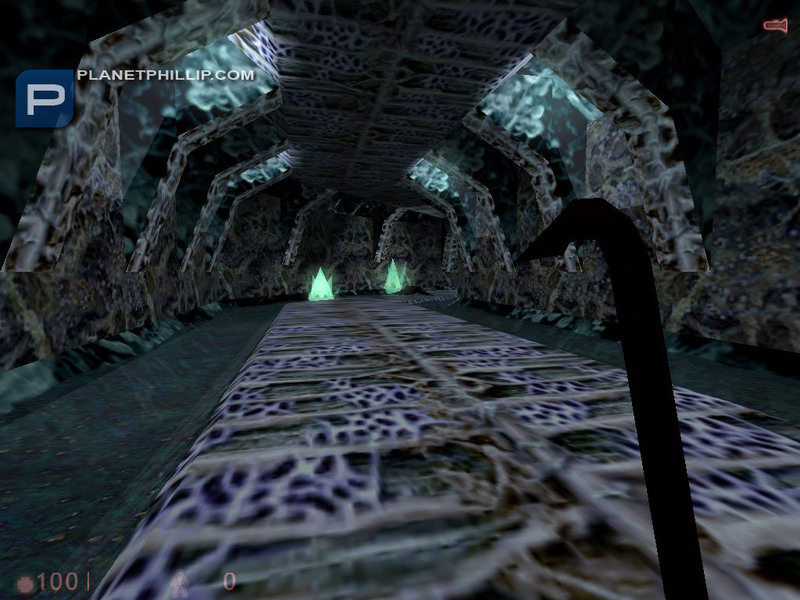 Carefully work your way around, at one point smashing a light and crawling through the gap where it was. Before long you’ll reach a point above the cave, so you can drop down to it. I recommend going farther, however, almost all the way around the room, until you reach a point where you can shoot at the scarlet alien slave with your handgun from a safe distance, before you drop down to the cave. So no one has an answer?Must of cheated if you got past it. Sorry andyb I meant to responed to your first post. If I emember you are at the pool, this whole sequence is a but complext. However if I remember correctly you need to get on the top of that small room to the right of the pool, thats the side you came in. From there you need to drop down to a ledge and throw a switch. This raises a gate on the far right hand side of the pool which you can get too by a ladder on the near side of the pool and follow the lower ledge around the pool to the new opening. I am not sure how far you have got, there is lots to do in this area. On the opposite side of the pool to the center gate you refer too, is there not a ladder going down below the raise pool floor? If so you need to go down the ladder and walk along the lower ledge to the gate entrence on the far right of the pool. Also you need to get high on the overhead gantary to find another switch to throw, but not sure of the sequence of events without playing through again. Thanks mel.I have no idea why I didn’t see that the ladder went below the floor.Must of been having a blond moment.This is one hard mod thou. Yes, this is one hard mod and it does not get any easier. I have been playing it on and off for a couple of months finding it best to give it a rest for a while then go back and tackle the last complex sequence afresh. I have no idea where the end is and at this rate you should catch me up andyb, then you can help me finish it. Think I need to do some back tracking or searching.Been playin for 2 hours and eyes are confused.In level 6 you need 2 cards to progress.Thats where I’m at now,a bit past the fire pit. What a tough mod !!! I have managed to get to Chapter 14 and have hit a dead-end.Right at the beginning of the map there is a shaft off a tunnel I can’t get down because I cannot disable the fan drawing me up. It seems I have tried everything and am beginnig to think there is a faulty trigger. At the end of map 13, I have even destroyed the device in the corner thinking that might disable the fan but no luck. Any help here would be appreciated as it’s driving me crazy ! It takes several tries to align and guide yourself just so after the RPG blast to reach the bottom of the shaft; also as you can imagine, you loose much health, but it does work. Hope this helps anyone as confused as I was in map 14. OK, thank everyone for playing my mod and interesting comments! It’s a amazing to find out in google an own mod at the non-russian site! EddieLee, I wonder, how you can’t pass the episode 14 without a rocket jump. 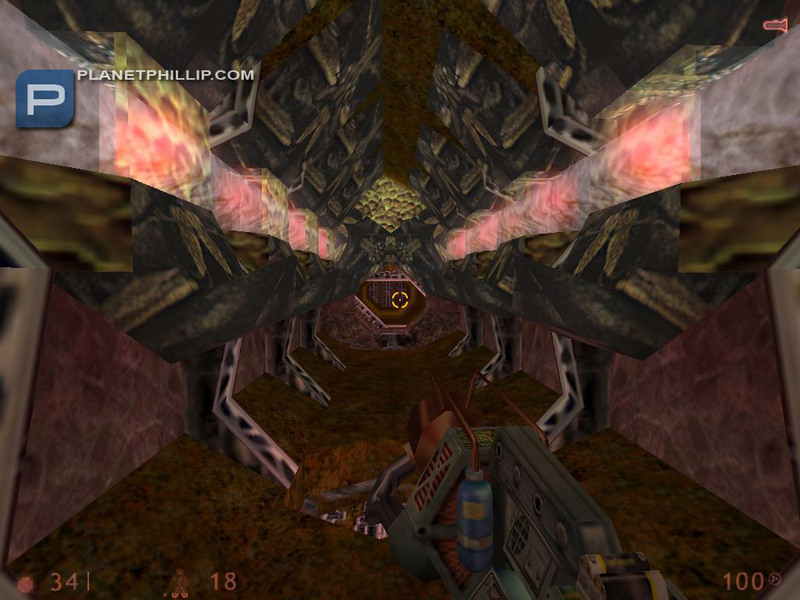 You just need to hung on ladder in vertical vent, then jump to ladder#2 on other side of vent, then go into the horisontal vent, cross the ceiling bridge, and jump to the target hole on the other side of tunnel. It’s all! What’s the problem? There’s a wrong release date. Mod has been released june 21, 2007. 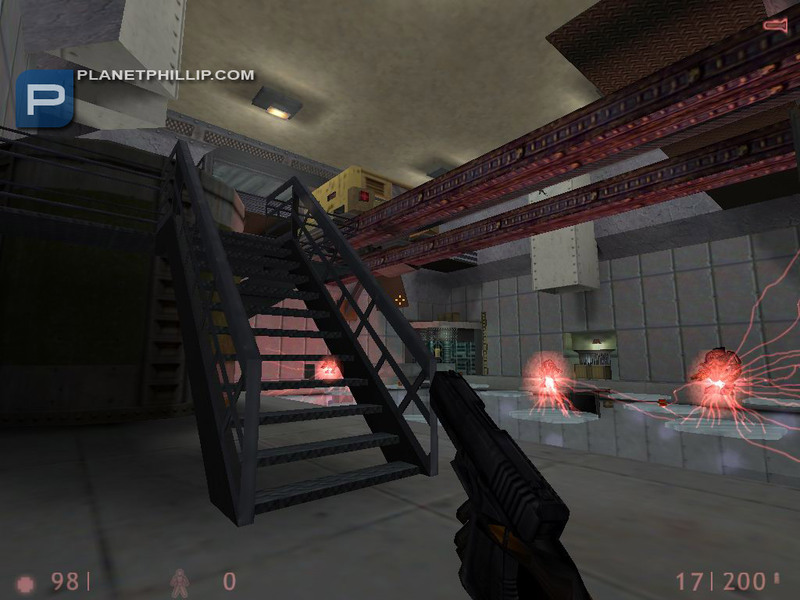 Version 2 has been released november 8, 2007. I am confused !! The only vertical vent I can find at the beginning of map 14 DOES NOT have a ladder on either side — it only has a green light straight ahead and the fan above. Where is the vertical shaft you are referring to where I can jump from ladder to ladder ?? EddieLee, I recognize the passage you describe but, oddly enough, the fan didn’t draw me up when I played that map. It still didn’t when I went back just now and replayed. Do you have version 2? 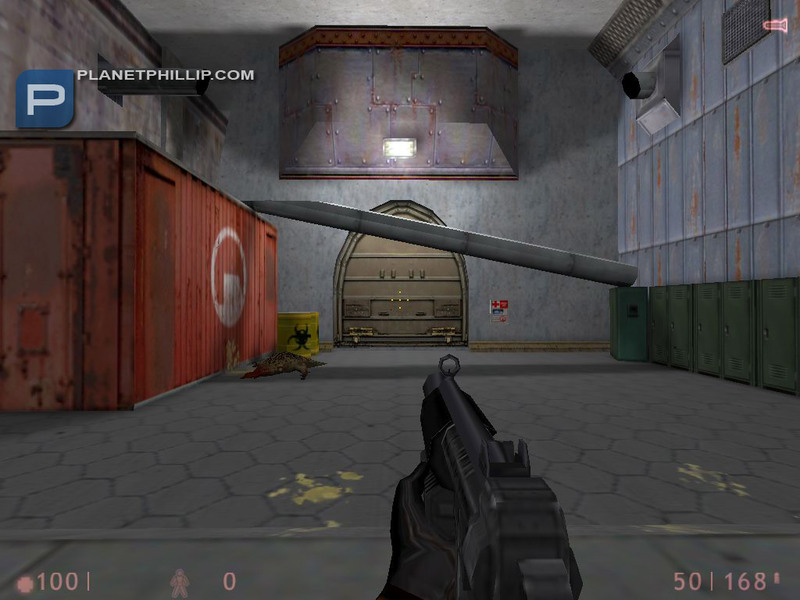 The passage Reaktor describes, a vent with a ladder on either side going up to a ceiling bridge, is in the next map, map 14b. EddieLee. Sorry, I thought you tell me about END of map 14. But I don’t understand what a problems may be at BEGINNING of map 14. Where’s a fan? Post screenshot please, otherwise I absolutely shall get confused. Ok, I opened the RMF, and find out a trigger_push with UP direction, but its “speed of push” = 120. It’s too low to take any problems. This trigger was created for the reduction of fall speed. Gilfrarry — yes, I have version 2. Not sure why the fan doesn’t draw you up; this is what forced me to use the rocket jump to get down it as I couldn’t find any way to disable it or find another vertical vent to bypass the fan. 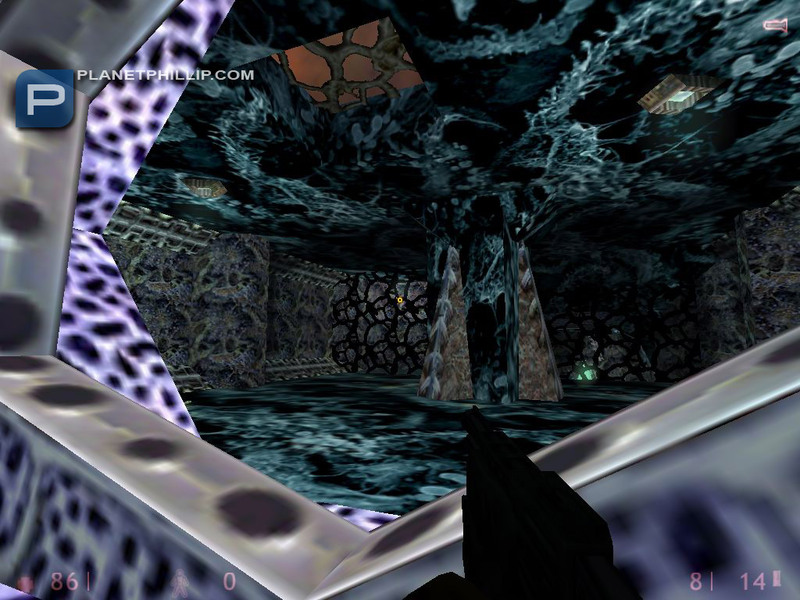 — at the very beginning of map 14, you must break thru a wall where you find some rockets and other amo. 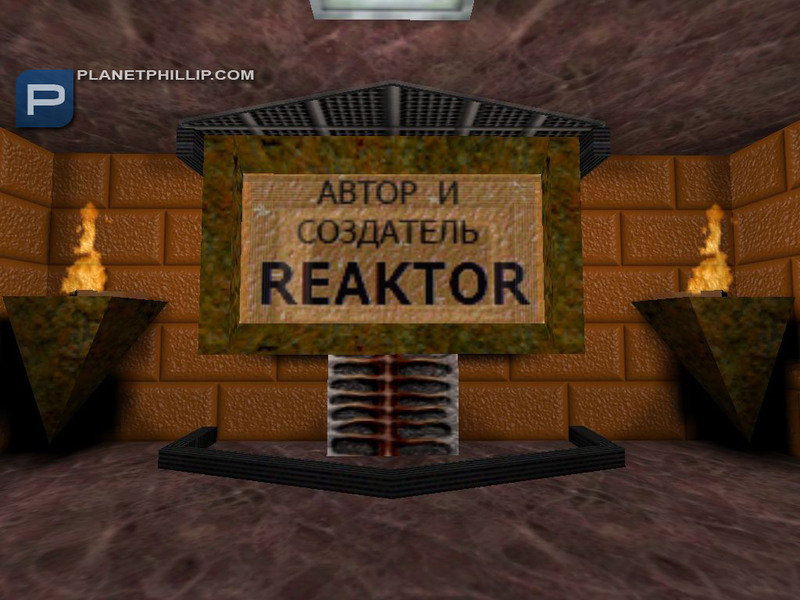 Reaktor — I don’t know what a ‘mysticism” is, but I would like to know how you get down the vertical air vent, with the ceiling fan, WITHOUT using a rocket jump ??!?! Is there another shaft or another way down ? There’s no another ways, just fall down the vent. Therefore I called you problem as “mysticism”. Reaktor — I wonder if the sv_gravity parameter got screwed up somehow. When I load map 14 from the console I have “normal” gravity (as when on earth) and I can fall thru the vent. What is the sv_gravity setting supposed to be for map 14 ? There’s no gravity controllers. Try to change sv_gravity to normal if this bug will show again. It’s all can I advice you. What do you gotta do in #11?Stuck with no way to go.just seen a short vid showing me a place I gotta go?Over a pit but I see no way to get there and behind me is the maze. This thing really needs a walkthrough or something. what a great mod, I give it 4 golden crowbars. I didnt have any trigger problems and am useing version 2.
just cant seem to beat the last guy, and have used up all my weapons. I aim for the green bits he gets mad, or shall I say madder. but wont die. and yes I shot out the crystals first thing. it is a very long and hard mod, I look forward to the next one. Yes, I saw the demo and it looks great, Reaktor! Looking forward to it. Still need person who will check my english version of The Trap mod! You are right. I’ve posted there. Never thought long jump would work lol.Looks far away.Anyway I’m stuck again.This time on 13 where you need to adjust panels for the light ball to bounce off of.I have ried every combination I can’t get past this.The guy following me said something I think but I don’t speak the language. He said, get this light ball to the tube at the ceiling. andy its a double. move the panels first then watch the ball and you will have to adjust one after the ball is shall we say in play. and then be ready for the fight of your life. hehe. good luck. Damn that was hard.Not even funny hard lol.Cant beat the final guy though. any hints on the final battle would be most helpfull, anyone, someone, hello? Sorry John.I have run out of ammo and knocked out every crystal but the ammo seems to not even phase him and I have none left now.No idea what to do. It’s my miss, I did’t give to the player unlimited ammo. 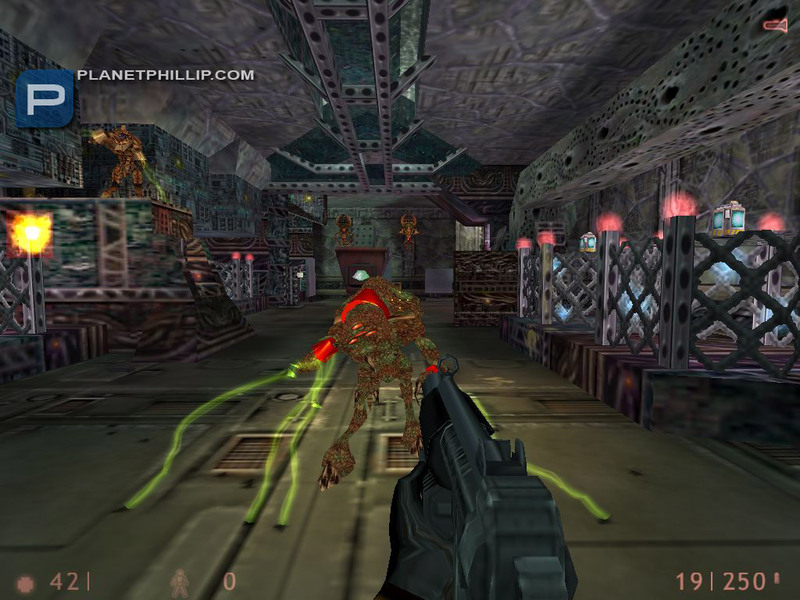 Try to pass it again from autosave and to use your weapons very smart. Break the both crystals first then shot the boss with every possible weapons. Extract the ammo from flying crystals above a head. Cool another level after the boss.Took a bit to figure that one out.For the boss I just put it in god mode and ignored those flying things and used all the ammo on him. By the way whats the button with your name on it do?The one in the boss area.I pushed it but didn’t see anything happen. This button opens a way to the secret chamber in the tunnel with portal. I musta missed that.I didn’t see no opening. I must finish this mod one day. I can only play it for a short while then go back days or even weeks later and play a bit more. Bloody hard game and in all fairness I think just a bit too hard. It never gives your brain a rest. I hope the author with any new work well give the player the option to lower the hardness factor a notch or two. Having rested for a few weeks and played a few other mods/mappacks like Forward Motion. it’s back to Prison next week. If I had to rate the mod so far I would need to say “Consider It”, just too intense with low fun factor. I think the average rating is too low for this mod. Hey you cant rate it its yours.That screws it up.I deleted your rating and if phillip wants he can put it back but I dont think you should vote on your own stuff. On the other hand if you had a walkthrough we could put up here you would have more people playing it.The mod is to hard for most people,me included(took me 2 months).If you did that the rating would probably go up. Only through me. Tell me where I can share it for you. But one question: WHY? Scared of a challenge mel? lol.Yes it is very hard and really not doable in a few hours.Days maybe when you figure it out but yes it’s hard.I liked it but the mental factor was a bit much. ok andyb I guess you have finished it and feeling very smug. Any way well done and what did you rate it? Well, I browsed the whole thread but it seems to me that nobody has had problem with the 4th level but me. 😀 I’m stuck in one small room (see screenshot: http://img225.imageshack.us/my.php?image=snap019ch1.jpg) and don’t have an idea how to progress any further. Please help somebody. Thanks. I’ll try to remember it lol but.! on the other side of that gizmo going back and forth there are some boxes you can climb up with.Also where the end of the arm on the gizmo goes through the wall you need to get in there and break something.Forget if its a web or not but just so whatever is blocking it falls through.Been awhile since I played it. 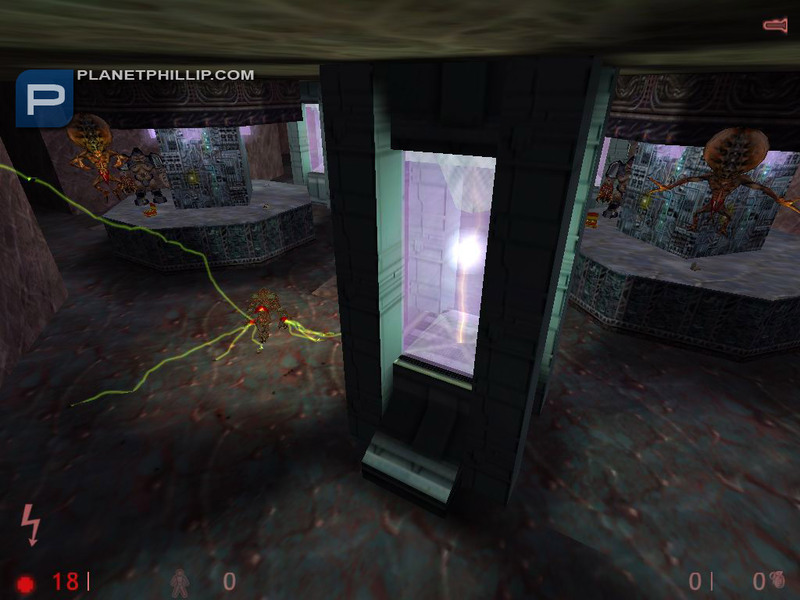 You are opened the door on the right side (in screenshot). Now you must get higher on the roof. Then reload the map, go back to another save, maybe this could work. ok, I’ve read the comments here, and parts of this mod are pretty hard… but I like it. But now I’m stuck. 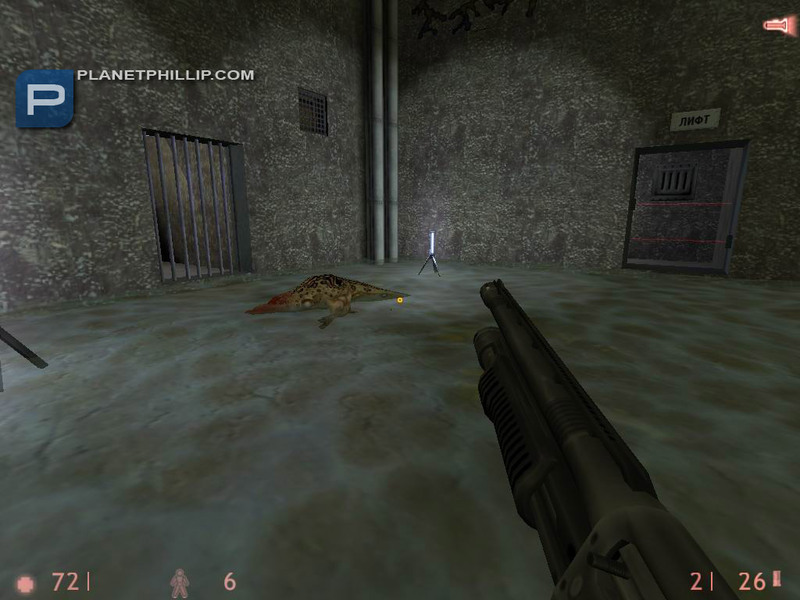 Prison6, the part of the map just after screenshot 14 above. 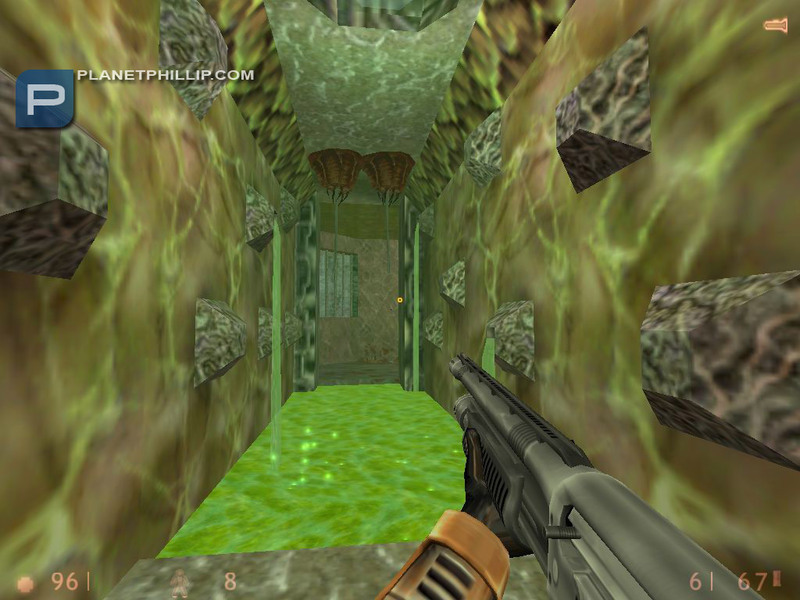 You have the room full of columns with platforms and deadly slime at the bottom… get to the other side, go through a water tunnel. Come to a big room with several columns in a big water pit. Kill all big guys, get to the other side, there are 2 locked doors – one requires red key, the other blue. I found the 2 secret areas on this map, but no keys. Back on the side I came in on, there’s a cave up above, but no way to get there. I’ve tried everything, can anyone give me a hint? The blue key, which opens a door to get the red key, is under a barnacle two rooms back. 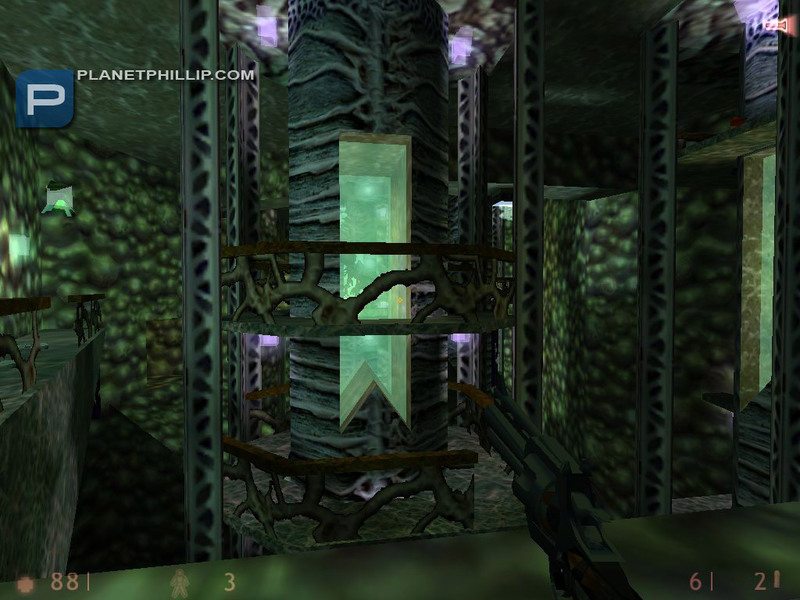 You reach it by jumping on a rotating transparent platform. Thanks Gilffrarry… I guess I missed that, I’ll have to go back and get it… thanks. This mod not like The Trap, just a shooter, but sometimes there are riddles more difficultly, than in The Trap. No triggers for cheaters. 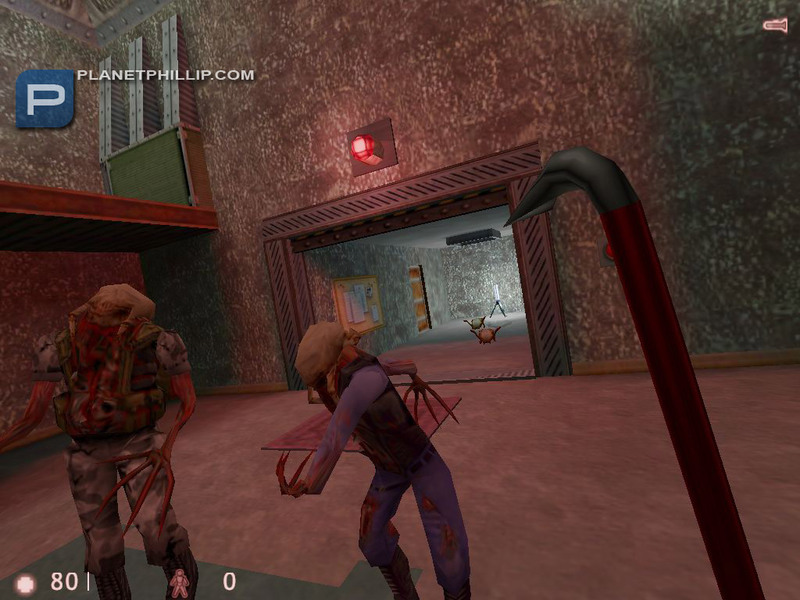 And I think this mod a lot worse than The Trap, becuase it’s my first mod, and its gameplay is thought over worse. OK, stuck again. I’m at the point of the last screenshot (21) above. Get past the slime part shown… get to the big room, scary head room across the chasm… watch the preview clip… kill the red bug….. can’t figure out what to do… head back into the maze, kill various baddies that pop up, find the teleporter that goes back up. I’m guessing that there’s some way to make the teleporter take me to the scary head room, but I can’t figure it out. I see several blocked off rooms in the maze (and up above) but I can’t get to them. I’m just getting tired of running around that maze, wasting ammo on the guys that appear. If your where I think you are you need to long jump across the chasm. Yea thats the spot.Gotta use the jump/crouch combo to get across.I didn’t think it was possible either but it works real easy. haha.. first time I tried it… boom.. actually was on top of the doorway, and ended up falling off. Then took me about 10 more tries to get it. When I think about it, I have a hard time doing it. OK, figured it out up to the point where reality distorts, will have to play it again later. Finally finished it.. Killing the final guy was tough, but not too bad. It was good to know to destroy the crystals first. Overall, I think this is a good mod. Hard at times, very confusing at times too. A little too much backtracking and required-super-jumps for my taste. I just hate all the precise jumping required in this mod.But overall, very well done. A walkthrough would have been nice, but thanks to this forum for getting me through or I probably would have given up on it. Can anyone tell me what to do in the room with several columns in a big water pit, in map 6? There are several long jumps between the columns and I can’t make’em. Is there any other way to get to the other side? Does any body know where is the blue key in prison12? A good mod with lots of hard riddles and jumps etc. Great maps. Oh god, I tought this was from 2010, but is not is for 2008 and I played it untill now! !, some moths ago! !, oh I really liked this one, it was pure quality and fun in reaktor style, so yep I think is a play it now, as the Trap was fantastic, well here is the prefect mod apperitive to complete that reaktor cool xperience. Interesting story with a prison-escape begins nice and ending on a Xen-like, unfortunately I must say. This is highly recommend since it was refined. Very well made overall. I minor complaint was I had no idea I was supposed to look for parts e.g. lever that looked like a crystal…i ignored it thinking it was debris!